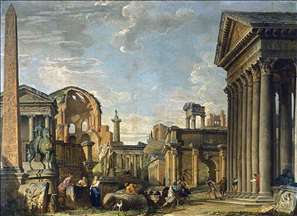 Giovanni Paolo Pannini (or Panini), Italian painter. 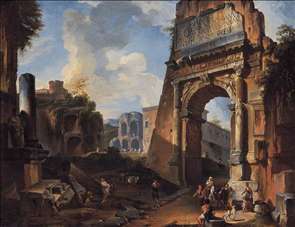 He was the first painter to specialize in ruins, treating them as Roman vedute of a special kind. 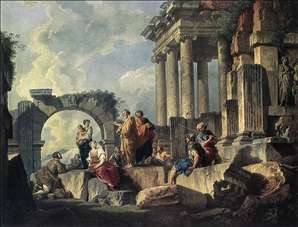 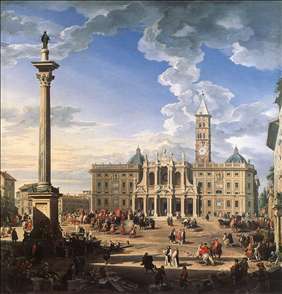 He was working in Rome by c. 1717, but the earliest surviving dated picture is of 1727 (London, Wellington Museum); in 1729 he was concerned in a Fte given by Cardinal de Polignac in honour of the birth of the Dauphin and this began a long connection with France and the French Academy in Rome. 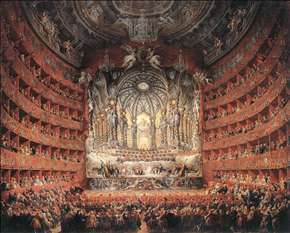 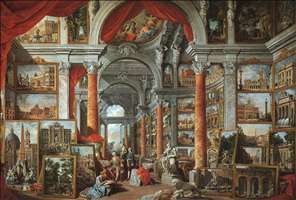 Paintings of the Fte are in the Louvre (1729) and Dublin (1731). 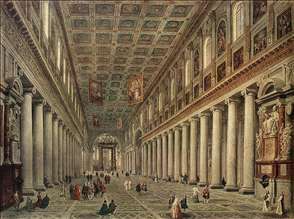 His views of modern Rome, as well as his capricci based on the better-known ruins, had an enormous vogue among Grand Tourists and examples are to be found in most older galleries. 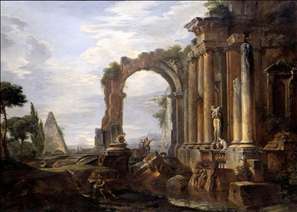 Piranesi, though far more of an archaeologist, was influenced by him, and so was Canaletto. 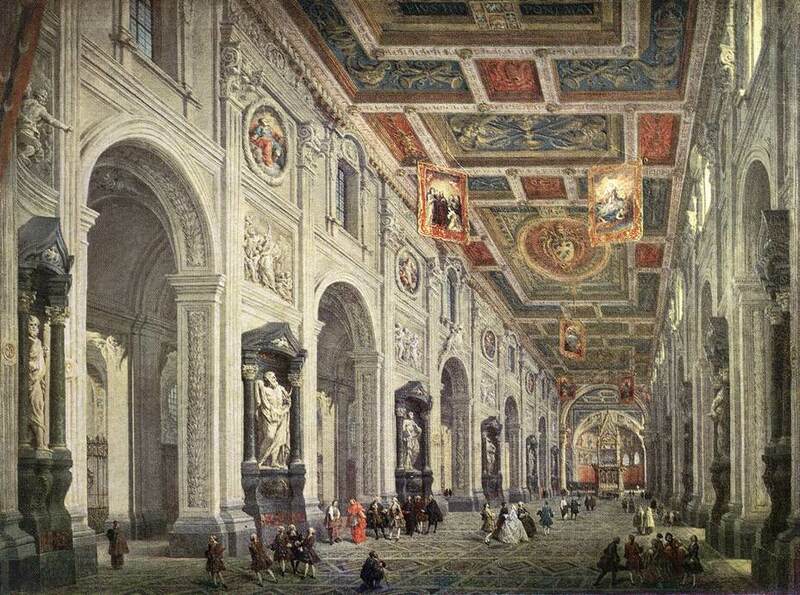 See more details about "Ideal Landscape with the Titus Arch"
See more details about "Capriccio of Classical Ruins"
See more details about "Picture Gallery with Views of Modern Rome"
See more details about "Interior of the Santa Maria Maggiore in Rome"
See more details about "Interior of the San Giovanni in Laterano in Rome"
See more details about "The Piazza and Church of Santa Maria Maggiore"
See more details about "Musical Fête"
See more details about "Piazza Navona in Rome"
See more details about "Apostle Paul Preaching on the Ruins"